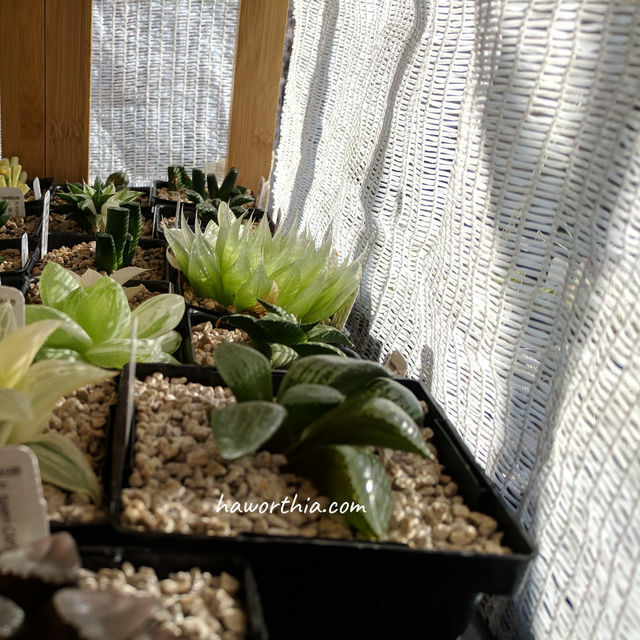 For a newly acquired Haworthia, it is recommended to quarantine it, replace its growing medium and treat pests. This not only prevents from introducing pests to other plants but also greatly saves the maintenance work going onwards. First clean as much of the growing medium out of the roots, even this may tear off some roots. The growing medium removed should be discarded. Soak the plant in a potassium fatty acids solution. This kills any pest adults and their eggs. Let the plant dry out in a cool and shaded place for 1~2 days before planting in a new growing medium. A shade fabric protects the newly treated plants from direct sunlights. Follow the rooting processing to settle down the plantin the new environment. After that, apply Imidacloprid soon to increase the resistance to common pests.